The course includes lectures as well as hands-on computing exercises illustrating the use of specific software tools for the exploitation of EO data, with a focus on Sentinel-1 data for rice monitoring. The exercise includes the use of open source software for rice mapping using Sentinel-1 time series. The tutorial will start with a lecture from Prof. Chris Justice (UMd) on the satellite remote sensing of fires. He will highlight the historical background including theoretical basis of fire detection using different satellite remote sensing datasets (NOAA AVHRR, MODIS, Landsat, etc.). He will also provide the latest updates on the VIIRs active fires and burnt area products. Dr. Yogesh Kant will offer the ADO-Fire-Agricultural studies in the NWH and IGP region particularly during Post-Monsoon season (Oct & Nov). He will deal with the MODIS and VIIRS Fire product as well as MODIS (1 km), VIIRS (1 km) and INSAT-3D (10 km) AOD for Oct, Nov 2018; Associating these Fires events with deteriorating (increase in AOD) air quality and validating with some ground observations in the IGP region. 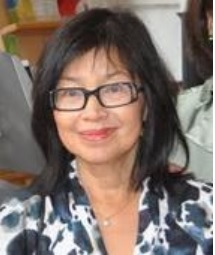 Dr. Thuy Le Toan obtained a Ph.D degree in Atomic and Nuclear Physics in Toulouse, France. Her research activity has been in the area of radar remote sensing for land applications. Her current interest is on the use of Radar Earth Observation data for agriculture crop and forest land, with a focus on their role in the global carbon budget. She is P.I of the ESA Biomass mission and currently Co-chair of the Biomass Mission	Advisory Group. She is members of research projects on Earth Observation of forest including the ESA Climate Change Initiative Above-ground-biomass, Globbiomass, the European Commision H2020 projects, and the JAXA Kyoto and Carbon Initiatives. She is Co-lead of the Asia-Rice Initiative, and currently leading the ESA-GEORICE project in South East Asia. Dr. Yogesh Kant is a remote sensing Scientist-SF at IIRS, ISRO, Dehradun, India. His current research is on Land Surface Processes, Urban Thermal Environment and Aerosol characterization using MODIS, VIIRS Fire Products and INSAT-3D data. Dr. Christopher Justice is a Full Professor and Head of the Department at the Department of Geographical Sciences, University of Maryland, College Park, USA. He has 38 years of research experience in remote sensing. His current research is on land cover and land use change (LCLUC), global fire, and global agricultural monitoring systems, all using remote sensing. He is the NASA LCLUC Program Scientist, Leader of the Land Discipline for the NASA MODIS/VIIRS Science Team, and Co-chair for GEOGLAM - the GEO Global Agricultural Monitoring Initiative. He is also Chief Scientist for the NASA Harvest Consortium. Unmanned Aerial Vehicles (UAVs) have shown promising ability for agricultural remote sensing in recent years. Aerial sensing from UAV bridges the gap between ground-based observations and remotely sensed imagery from conventional aircraft and satellite platforms. Satellite remote sensing systems have several critical drawbacks for agricultural applications such as low spatial and temporal resolution, sensor specific, availability limited by weather conditions and high cost. Whereas, UAVs have several advantages such as low cost, quick and repeatable, flexible in terms of flying height and timing of missions as per user’s need, high spatial resolution imagery, safety and available of near real time information. UAV has been identified as a viable substitute and/or compliment to remote sensing platforms for agricultural monitoring. Keeping in view, recent developments of UAVs and its applications in agriculture, a half day post-workshop tutorial on ‘UAV Remote Sensing for Agriculture’ is planned to be jointly conducted by Dr Rabi N. Sahoo, Division of Agricultural Physics, IARI, New Delhi and Dr Bijoy K. Handique, North Eastern Space Applications Centre, Umiam, Meghalaya. Broadly following topics will be covered. Dr. Rabi N Sahoo working as Principal Scientist with Indian Agricultural Research Institute, Indian Council of Agricultural Research, Government of India, New Delhi has 20 years of experience in research, teaching and capacity building in the field of Remote Sensing and its applications. At present, Dr Sahoo as National co-coordinator is leading Network program on Imaging Spectroscopy and Applications (NISA) of DST. He has been science team member of recent joint campaign of ISRO-JPL-NASA -Air borne hyperspectral remote sensing (AVIRIS-NG) in India and member secretary of Task Force (Group -1) on Satellite and UAV and Remote Sensing for Agricultural Insurance, of NITI Aayog, Government of India. His work on 'UAV based remote sensing for Precision Agriculture' was showcased twice to Honourable Prime Minister of India during March 2016 and 2018 respectively. His major research interest is hyperspectral remote sensing, radiative transfer modeling, Precision farming and high through-put plant phenomics. 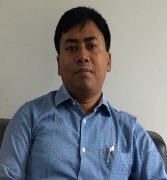 Dr.Bijoy Krishna Handique working as a Senior Scientist at North Eastern Space Applications Centre (NESAC) under Department of Space, Government of India has more than 16 years of experience in space technology applications and research in agriculture and allied areas. 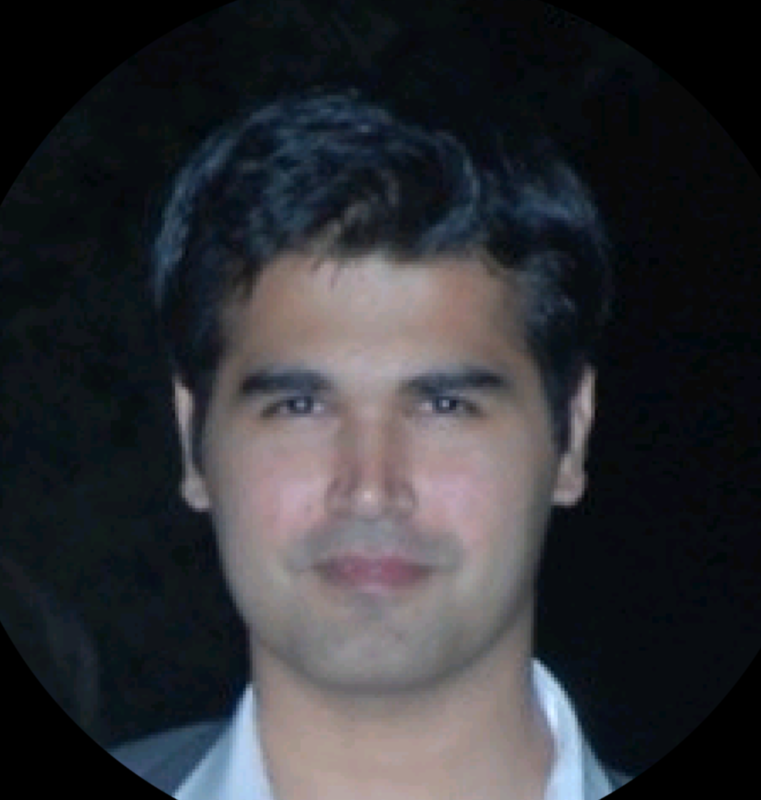 He is having academic proficiency in the Agricultural Statistics and has demonstrated application of different geospatial and geostatistical techniques in innovative ways for increasing the efficiency of statistical estimates. He has been leading a national program on applications of remote sensing and GIS in sericulture development covering 25 states of India. He initiated pioneering work on early warning of vector borne diseases in north eastern region of India. Currently he is leading a team at NESAC in using unmanned aerial vehicles (UAVs) for various agricultural applications. A number of exercises have already been conducted using UAVs, which will support the precision farming in the country, particularly in the NE region. Mr. Shashikant A Sharma, Group Head, VRG is a scientist at Space Applications Centre (ISRO), Ahmedabad. He has 32 years of experience in the field of Remote Sensing, Digital image processing and GIS. He is instrumental in development of VEDAS portal vedas.sac.gov.in which has visualisation and analytics tools to perform geo-spatial analysis on web. It also exhibits various applications of deep learning and big data analysis of Remote Sensing data. 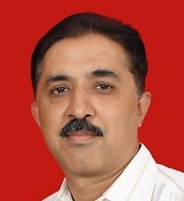 Mr. Pankaj Bodani Graduated with a degree in Computer Engineering from Gujarat University in 2009. He joined ISRO in 2010 and played a key role in software QA of multiple satellite payloads including Navigation Singnal Generation Unit for NaVIC constellation. Since past 4 years, he is developing software for Geospatial Analysis and conducting Deep Learning Research at VEDAS.